Digital Surrogates from the National Wheelchair Basketball Association (NWBA) Newsletters, contains digitized copies NWBA periodic newsletter concerning sporting events, tournament results, staff designation, association's bylaws, fundraising activities, and other information. 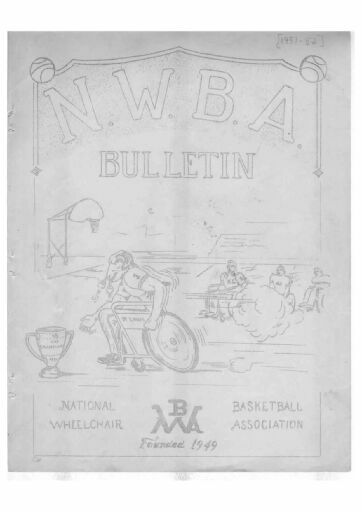 The National Wheelchair Basketball Association (NWBA) Newsletters (Digital Surrogates), 1951-1954, 1962-1996, 2000-2002 are managed by the University of Illinois Archives and do not feature precise descriptive information for each item. Discover their contents by browsing the folders and files. For more information, contact an archivist at illiarch@illinois.edu.